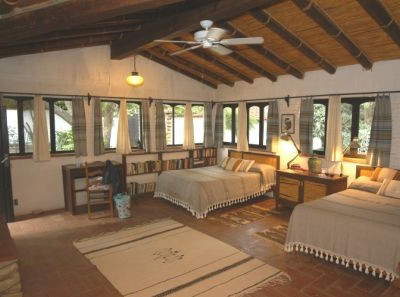 The Casa Grande has four bedrooms with a total of six beds. 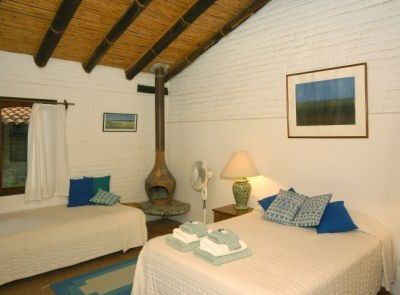 La Casita has two bedrooms with three beds. 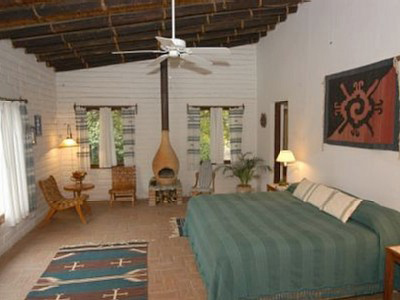 The Casa Grande can sleep up to ten people and La Casita can accommodate a maximum of five people. The two houses together can house a group of up to fifteen people, depending on the various sleeping configurations. 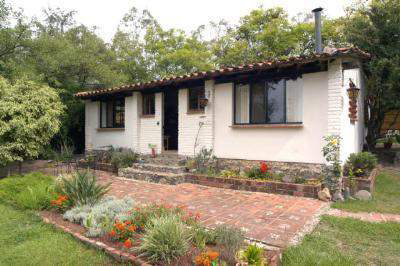 The spacious Casa Grande is built in a "refined Zapotec" style, with adobe walls, floors of polished tile, bamboo ceilings, tile roofs and locally woven rugs and tapestries. A stone fireplace at the end of the living room compliments the high, vaulted ceilings. All bedrooms are large with various combinations of king, queen, double and single beds. The four bedrooms all have their own private baths. The master bedroom overlooks the pool and is a suite unto itself: with a king size bed, a large bath that includes a shower and a sunken tub, walk-in closet, and a lounging area. Entire House: $2,500 per week, $375 per night. High season rates (Christmas, New Years, Easter and Day of the Dead) $3,250 per week, $465 per night. Bed & Breakfast: $100 per night, includes breakfast for two. High season rates (Christmas, New Years, Easter and Day of the Dead) $125 per night. Casa Grande living and dining rooms. The 'King Size' master bedroom. The spacious upper bedroom sleeps four. The Loom Room, on a private courtyard, sleeps three. 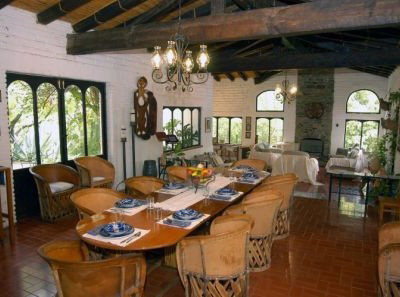 This charming guesthouse is about 150 feet from the Casa Grande. It has two separate bedrooms with a total of three beds: two doubles and one single. Each bedroom has a private door into the bathroom. The kitchen is complete and nicely equipped. A small dining area is located next to the furnished living room. $800 per week, $125 per night. Does not include breakfast, athough it can be arranged for a small fee. 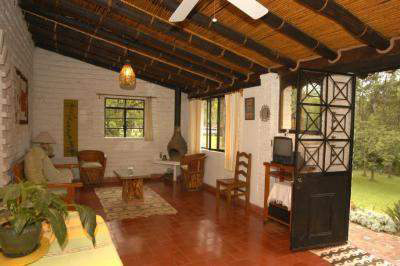 High season rates (Christmas, New Years, Easter and Day of the Dead) $975 per week, $150 per night. Monthly rates are available upon request. Casa Raab is almost fully accessable by handicapped and elderly folks. There are three locations with low steps and they can be mostly avoided. Handrails have been installed. Wheelchair access is pretty easy with a bit of assistance. We are an animal friendly facility. Your well behaved pets are welcome. If they are socialized and easy with other animals they will have a ball with our onsite menagerie of dogs and cats. If they are socially challenged you will have to pay more attention to their care while visiting. If you plan on traveling to Casa Raab with your pet please inform us early on in the process. We require a 20% nonrefundable deposit to confirm a reservation. This can be made in a variety of ways. Check with us for the most appropriate manner to make your deposit. Email us for reservations.